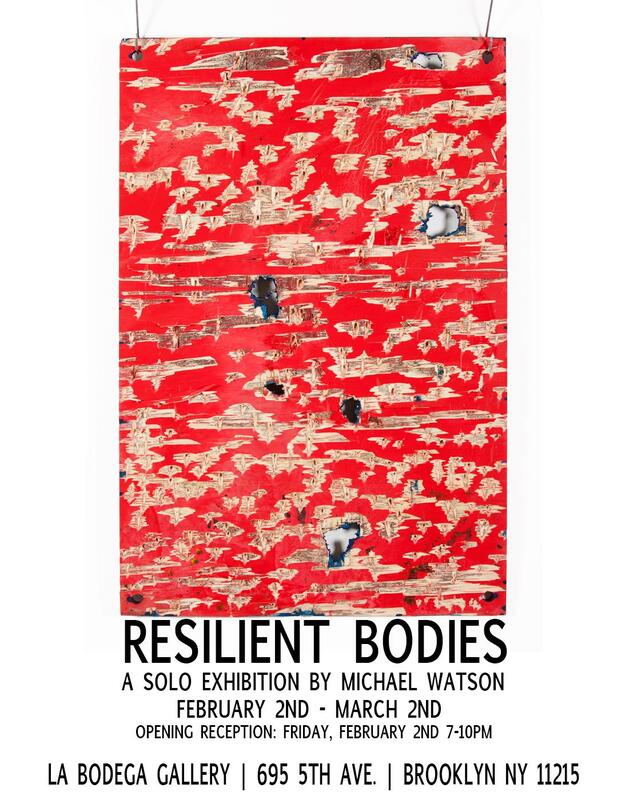 MFA Fine Arts Alum Michael Watson ’13 will be opening a solo exhibition of new work at La Bodega Gallery. The show is curated by MFA Fine Arts Alum Johnny Thornton ’12. In this dynamic collection of recent work, Watson utilizes organic material including rice and wood as a surrogate for the body. Through various destructive and regenerative processes, he explores concepts of being, transformation, decay and rebirth. Watson torches, sands, and pick-axes the material to its limit until a metamorphosis occurs. The burnt, gouged and fractured surfaces become hauntingly beautiful and visceral works which are simultaneously embedded in physicality and transcendence. The artworks offer contemplative insights into the ever-changing state of all things; a trace of what was and a reflection of what will be. Michael Watson (b. 1982, Knoxville, TN) is a New York based multidisciplinary artist who physically engages with materials such as plywood, rice and fire to produce visceral paintings, mixed media and performance art. By pushing the physical limits of materials, his work challenges our understanding of the metaphysical, existential, and sociopolitical constructs that dominate our daily lives. More information available via La Bodega Gallery.